Doctors in London say they have apparently eradicated HIV from a patient's body. It's only the second time this has been accomplished, despite many attempts over more than a decade. While some commentators are calling this a "cure" for HIV, the scientists who performed the experiment say it's too soon to say that. Instead, they say the patient is in remission. That result raised hopes that HIV could be eradicated through a medical procedure and cure people of HIV infection. Yet Brown's case remained the lone success since then. Other attempts had failed. Sixteen months after the man's transplant, doctors found no sign of HIV in his body. They decided to stop treating him with antiviral drugs after he volunteered to stop taking them. It has now been more than 18 months and the infection hasn't reappeared, the scientists say. Ravindra Gupta and his colleagues write, "it is premature to conclude that this patient has been cured," but they are hopeful that will prove to be the case. "This is a highly significant study," Aine McKnight, a professor of viral pathology at Queen Mary University of London, said in a statement. "After a ten year gap it provides important confirmation that the 'Berlin patient' was not simply an anomaly." But McKnight cautioned that this won't necessarily lead to a treatment for anyone with HIV. For one thing, the rare mutation in this case, a variant of a receptor called CCR5, only blocks one variety of HIV. 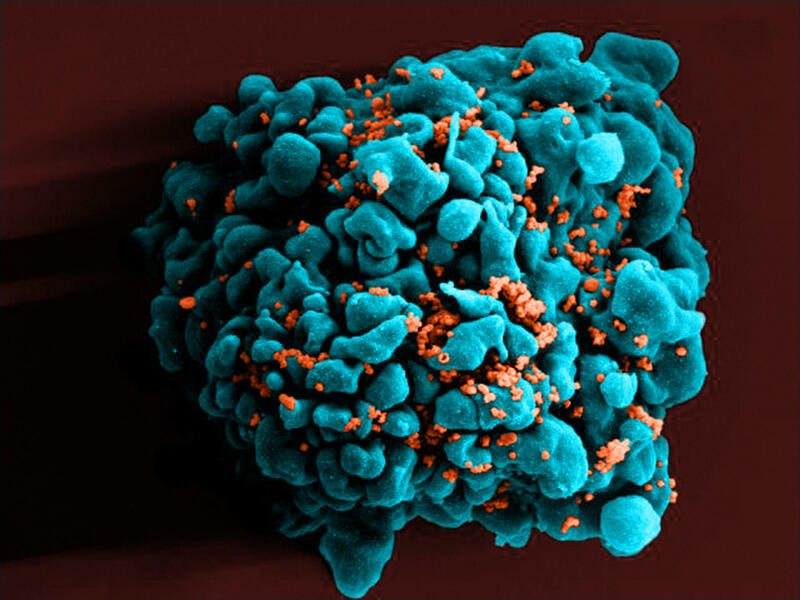 A second, less common form of HIV could still cause infection despite a transplant like this. "Although it is not a viable large-scale strategy for a cure, it does represent a critical moment in the search for an HIV cure," Anton Pozniak, president of the International AIDS Society, said in a statement. "These new findings reaffirm our belief that there exists a proof of concept that HIV is curable." Stem-cell transplants are expensive and risky, because they involve wiping out a patient's immune system with powerful drugs or radiation and then reconstituting it.